Albert Dennis Neville was born February 9, 1895 in Watertown, New York. His father, Charles Neville, was born in 1868 in Canada and came to America in 1886. His mother, Alice Campbell, was born in 1870 in Canada and also came to America in 1886. His parents married in 1888 in Watertown, NY, where they raised four children, Ella (b.1889), Charles (b.1892), Albert (b.1895), and Jennie (b.1896). The family lived at 49 West Prospect Street. The father was blacksmith of horse shoes. Watertown is the county seat of Jefferson County. The town is located just North East of the northeastern tip of Lake Ontario in upper region of New York State, near the Canadian border. Watertown is seventy miles north of Syracuse, and about half way between Toronto and Montreal. The Neville children all attended the public school on Boon Street in Watertown. By 1910 the family had moved to a larger home at 618 West Prospect Street in Watertown. 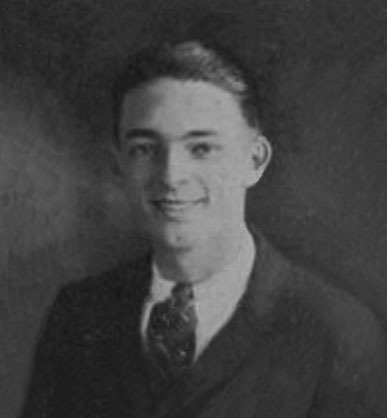 In June of 1913 Albert D. Neville graduated from Watertown High School, where he had become interested in a career as a commercial artist, but rather than study art, he worked as a clerk at the Henry H. Babcock Carriage Company at 19 West Fayette Street in Watertown, where his older brother was a shop foreman. The company owner was a major purchaser of their father's horse-shoes, because Babcock manufactured horse-drawn carriages. However, by 1913 the American automobile industry was replacing the "horse-and-buggy," so the Henry H. Babcock Company was expanding into the automobile carriage business. They eventually became a regional assembly plant for the Dodge Motor Company. 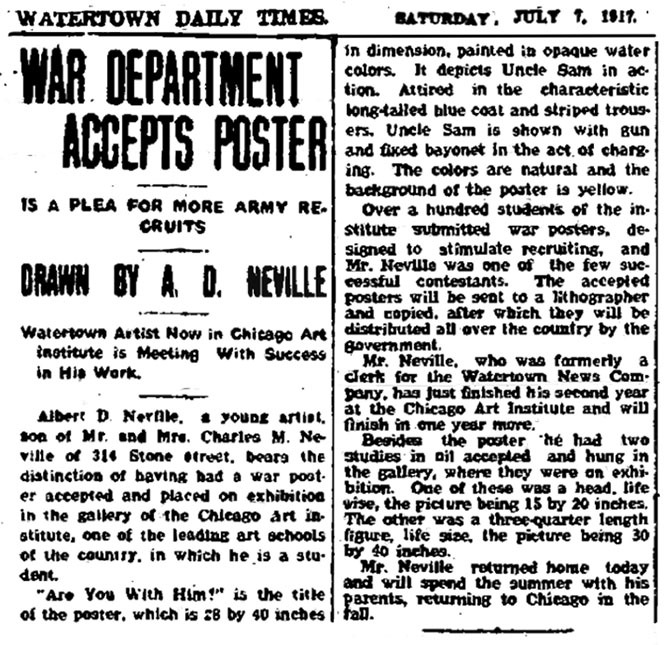 In 1915 Albert Neville worked as an advertising salesman for the Watertown News Company, which produced The Watertown Daily Times, while his older sister, Ella E. Neville was an engraver at the newspaper's print shop. In 1915 Albert Neville's older friend from high school, Roland G. Donaldson (March 2, 1894-December 7, 1973), left Watertown and began to study at the Art Institute of Chicago. 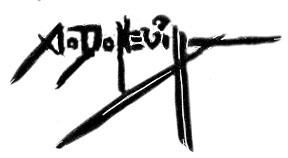 In the summer of 1916 Roland G. Donaldson returned to Watertown and inspired Albert Neville to join him at the art school after summer. 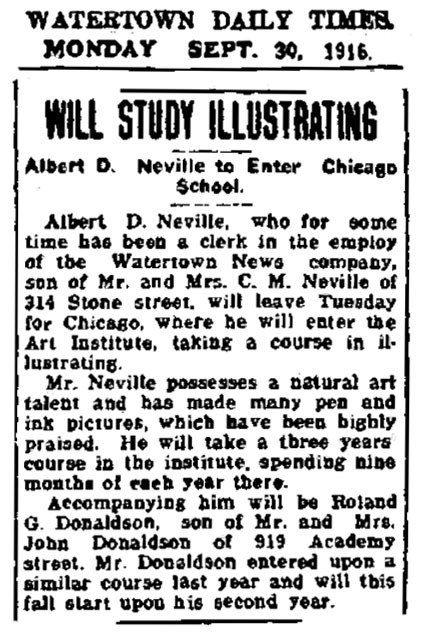 On September 30, 1916 The Watertown Daily Times reported that Albert Neville was leaving for Chicago to enter a three-year course at the Art Institute of Chicago. 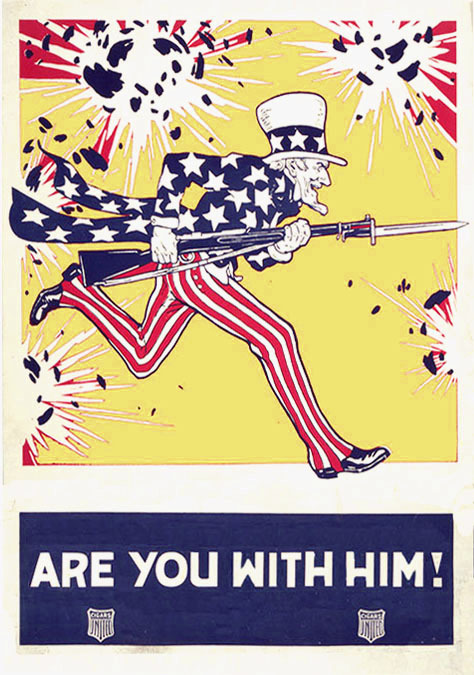 By June of 1917 Albert Neville completed his first year of art training and returned home, where The Watertown Daily Times reported that the Art Institute of Chicago had conducted a student contest to design a recruitment poster, and the jury had selected Albert Neville's war poster for production by the War Department. 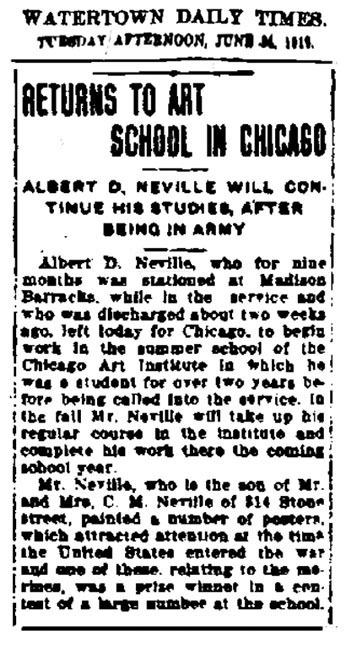 On June 5, 1917 Albert Neville was drafted for military service in the Great War. He was stationed at Madison Barracks, where he served as a surgeon's assistant. He was honorably discharged at the rank of private in May of 1919, after which he returned to Chicago to complete his art training at the Art Institute and lived at 215 Superior Street. 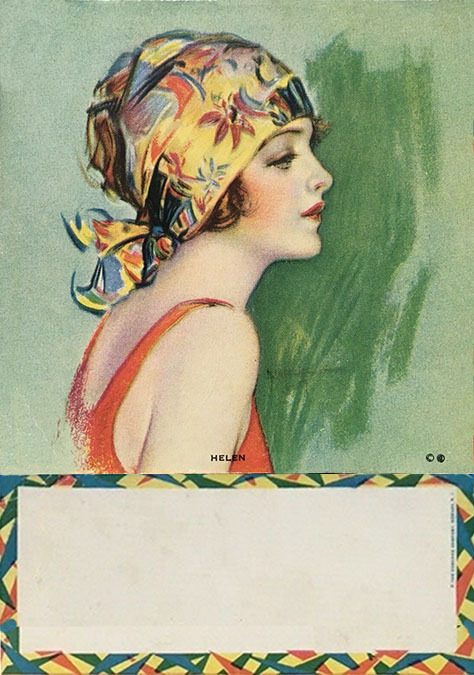 In June of 1920, after having completed his art school training, he returned to Watertown and went back to work at the Henry H. Babcock Company on the assembly-line. In his spare time he also worked as a freelance artist for the local newspaper. 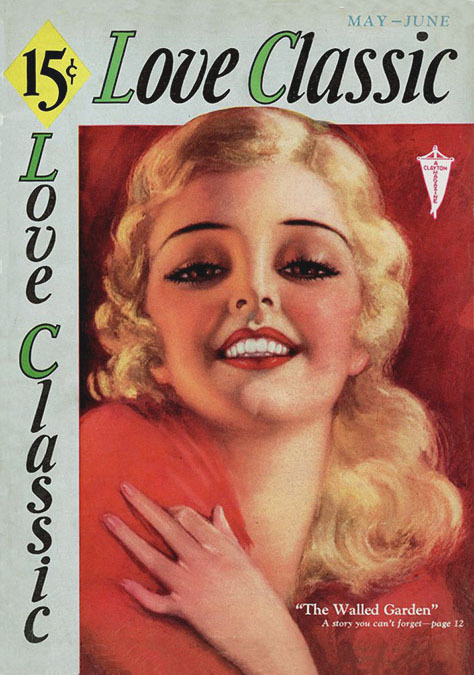 During this period, when he lived back in his hometown, Albert Neville met and fell in love with Esther Bond. 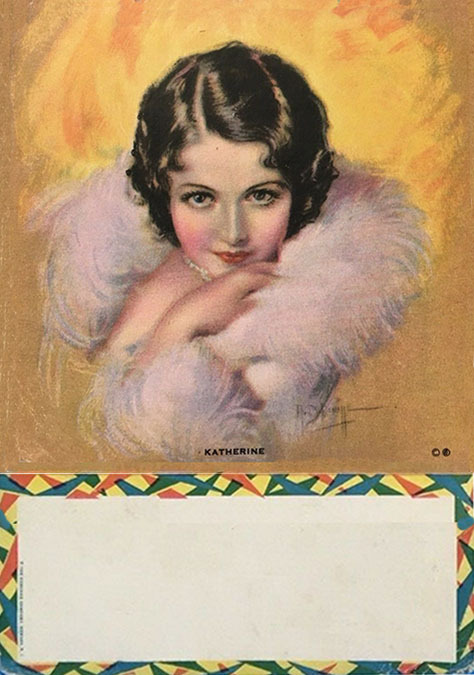 She was born on April 16, 1900 in Watertown, NY. She had graduated high school and worked as a stenographer at a plumbing company. 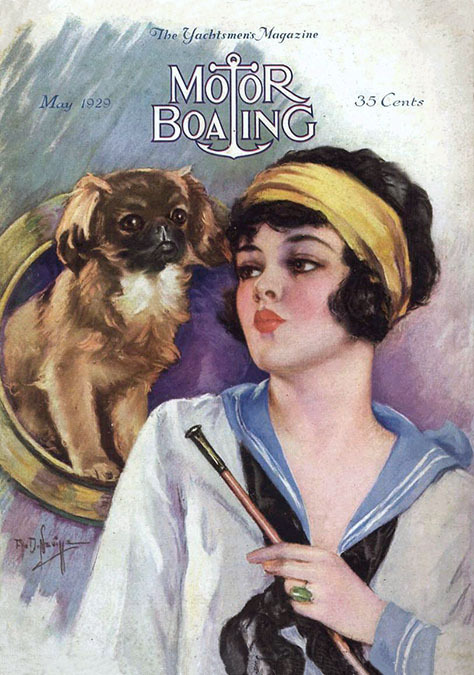 By 1921 his art school pal, Roland G. Donaldson, had finished his art training, married, and moved to New York City, where he was employed as a commercial artist at an engraving house. 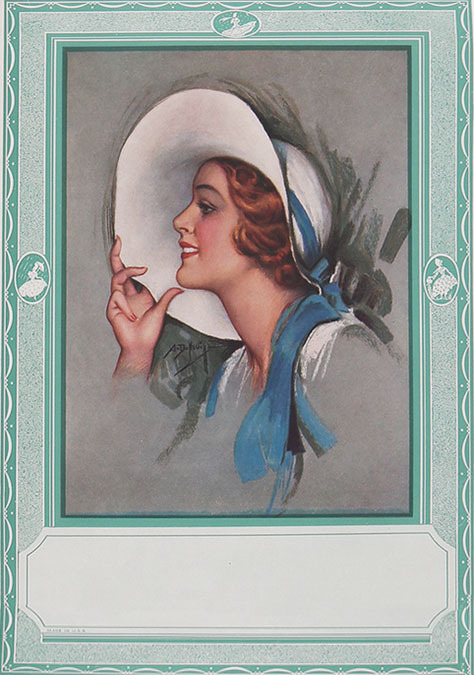 In the summer of 1922 Albert Neville left Watertown and moved to New York City to seek his fortune as a free lance commercial artist. He found a full-time job as a staff artist at the Fashionable Dress Company at 170 Fifth Avenue on 22nd Street. On July 31, 1922 Albert Neville married Esther Bond in Manhattan. They lived at 30 West 75th Street, near Central Park West. They had no children. 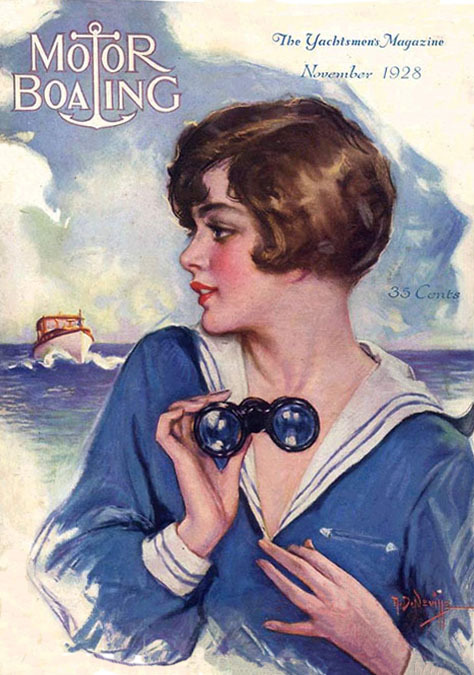 In the 1920s Albert Neville painted one cover for Success Magazine and several covers for Motor Boating Magazine. 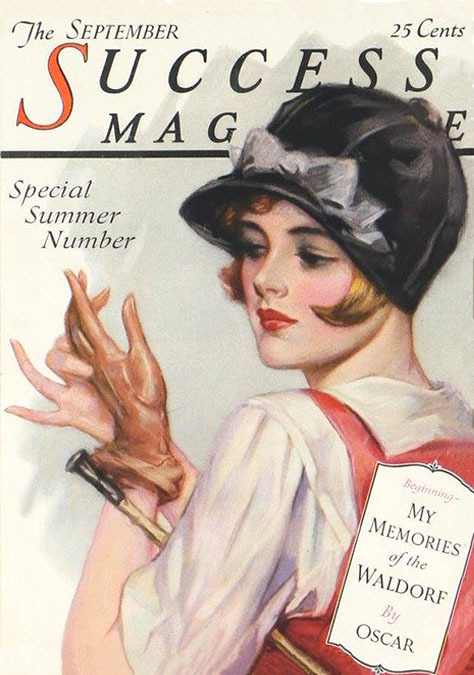 All of his covers featured glamorous women, and all were signed "A. D. Neville." 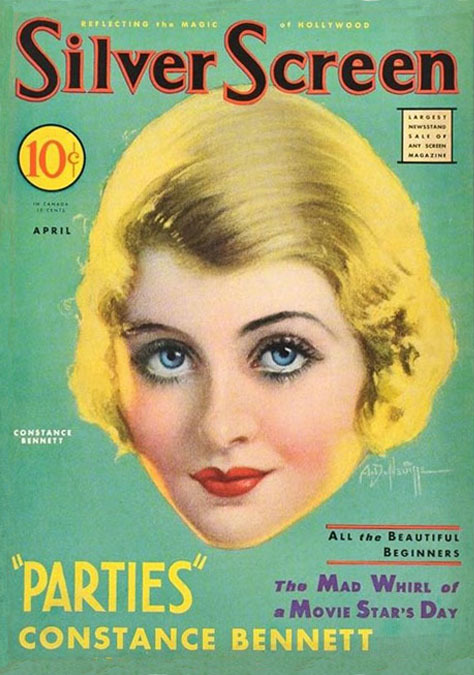 In October of 1929 the stock market collapsed, which lead to the Great Depression and brought hard times to the American banking system, industrial production, and advertising budgets for the publishing. As financial worries trickled down, free-lance artists struggled to find work. 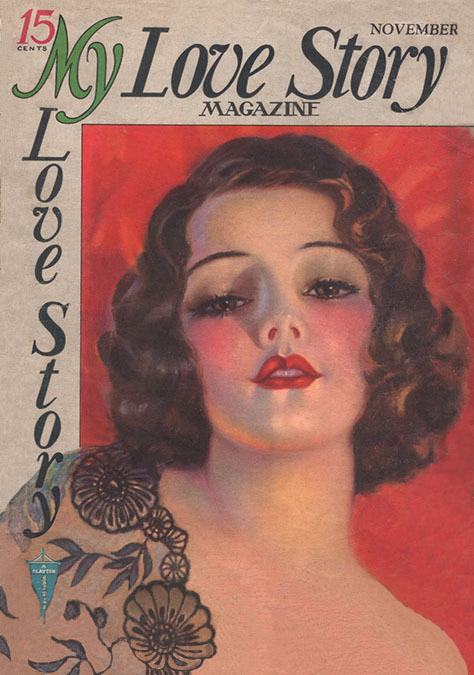 At first the artist's wife would pose for his cover illustrations, but when his director demanded more variety, he began to use his neighbor's wives, as well as professional models. In 1930 the U.S. Census recorded Mr. & Mrs. Neville as residents of New Jersey, in the town of Belleville, which is west of Secaucus, just across the Hudson River, on the first stop on the commuter from mid-town Manhattan. Mr. Neville listed his occupation as "artist at studio," while his wife, Esther Neville, was a "secretary in office of shirt waist factory." 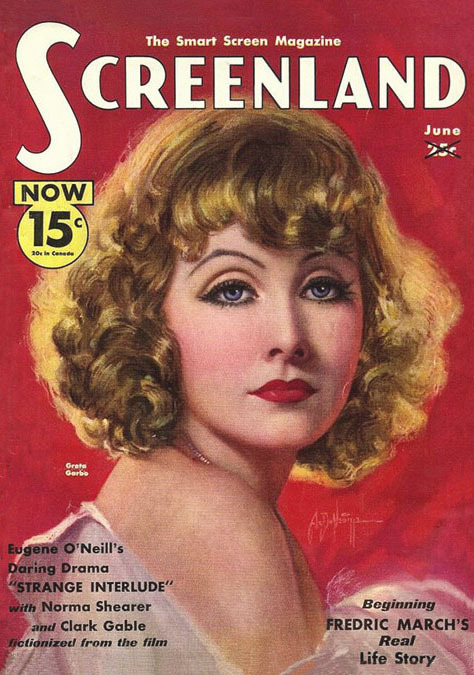 During the 1930s Albert Neville made pastel portraits of glamorous starlets for the covers of Silver Screen and Screenland Magazine. 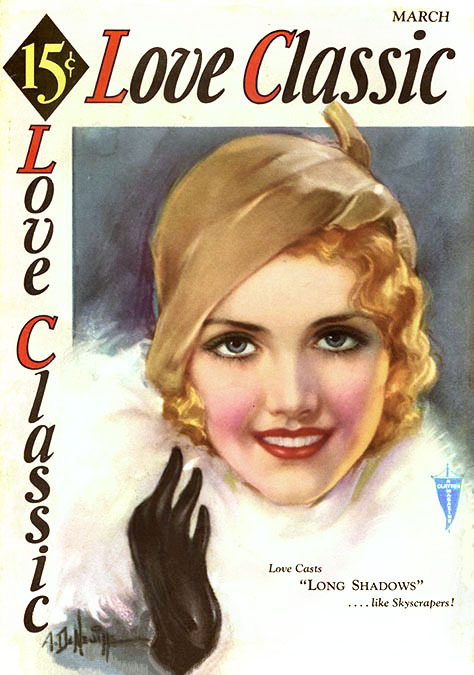 He also drew pastel portraits for My Love Story Magazine, and its successor, Love Classic from Clayton Publications. By 1936 the artist's marriage had ended unhappily in divorce, after which he left New Jersey and moved back to NYC, where he lived in his art studio at 104 East 30th Street. On April 26, 1942, during WWII, Albert Dennis Neville registered with his local draft board, as was required by law for American men between the ages of eighteen and sixty-five. He was recorded to have be forty-seven, five-eight, 165 pounds, with blue eyes, brown hair and a light complexion. He listed his occupation as "Free Lance Artist." His closest associate was identified as his mother's elderly sister, Miss Nellie Campbell, age seventy, of Watertown, NY. 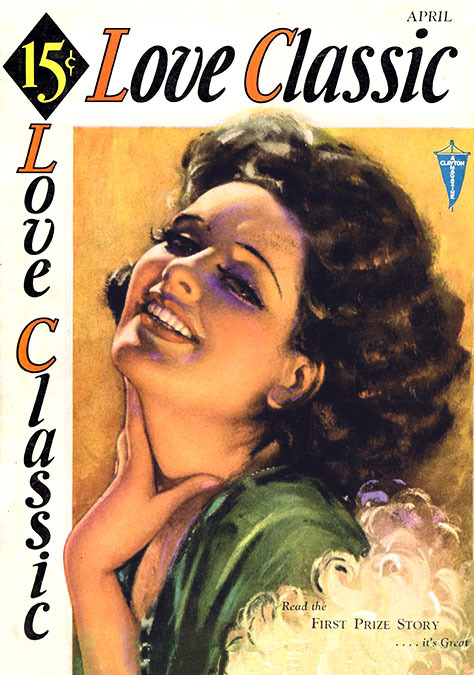 The artist continued to work as a free-lance artist in the advertising industry for the remainder of his life. Albert Dennis Neville died at the age of seventy-five in NYC on November 27, 1970.